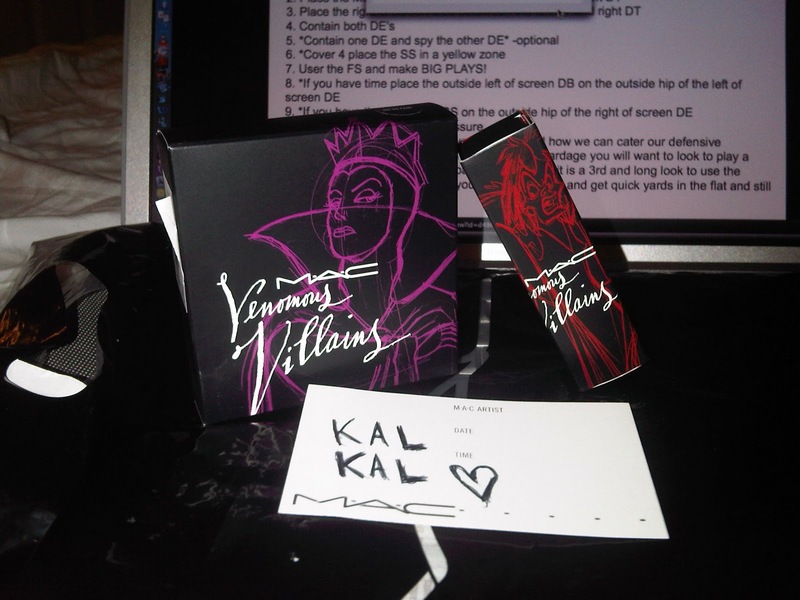 I did get the 2 things I wanted from Venomous Villains -Oh So Fair Beauty Powder (I changed my mind about Briar Rose) and Innocence, Beware! Lipstick. My boyfriend actually got them Thursday when the collection came out but the sad part is that I can't even have it or review them until next week! We live far from each other so we don't get to see each other as much as we'd like -plus our conflicting schedules don't exactly help. But anyways, I logged into my Gmail the other night and saw this sitting in my inbox. I thought it was sweet. =) Oh and he calls me, "Kal Kal." I'm still contemplating on getting any other items. I keep finding myself checking out pictures of Strange Potion Lipglass, Briar Rose Beauty Powder, Her Own Devices Beauty Powder, Darkly My Dear Blush, and Her Alter Image eyeshadow. I seriously can't believe almost every item in the collection is sold out online -I do find the collection special but not as "spectacular" as it's being made out to be. Luckily, the MAC Counter by me has loads of everything left but who knows if it'll be gone once the weekend comes and goes. But something I do actually have are some new goodies from Daiso! I've had a very long, busy, and slightly stressful week (tests, essays, quizzes) so this was a nice feel-good haul without breaking the bank. I also bought 2 pairs of lashes for an upcoming giveaway -I want to have another one soon! My favorite items from the haul are these little coin purses. I love cute coin purses. I wanted to give one away for the next giveaway but I think someone (I know in "real life") will actually really like this so I might give one to her.. If you like these, let me know! I'll try to include one in a giveaway prize if you do. It's crazy how it's selling! It wasn't that great.Cant wait to see what you think of your items! Aww your bf is so SWEET, def a keeper!! Daiso sounds like such a cool store. I wish we had one here. Loved your post. @ PoorCollegeStudent.. I know right! I mean it was a cool collection but nothing to go crazy over. I can't wait either! @ Eva.. LOL yea he is. =) I love Daiso -they're quickly expanding. Look out for one in the future.. where I live, they've been popping up everywhere! How sweet of your bf. Do you ever talk about makeup to him? I do that with mine. I teach him sometimes...coz he'll ask why I have to have this & that. I said there's cetain looks I go for & what I can't wear during the season LOL. So I'm glad he'll go pick up stuff when a collection comes out. I agree, this VV collection didn't really excite me. I hope they come out with a Princess version. I looked up the swatches on Temptalia's page...& I didnt like any of the beauty powders on there. It looks wayy better in other peoples swatches. So now I want the Oh So Fair BP...do you think it's going to sell out soon or already did? I like soft pink and soft coral colors to use on my cheeks. 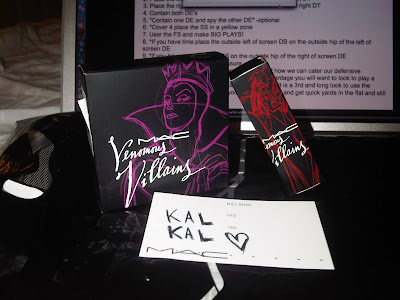 If the swatches didnt look so ugly on Temptalia's page, I wouldve told my cousin to grab me one on Thurs morning =/. What kind of shop is Daiso? You have cute stuff. 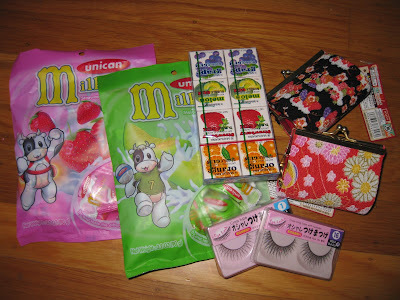 Im into Jap/Asian kawaii stuff & beauty products. I have a complete diff wishlist for Sasa.com LOL. Sorry for the long comment. Im at home on a Saturday night just looking up makeup. Actually have time to surf. Cute blog btw :) i'm following! Your bf is such a nice person you are so lucky! @ Melissa.. LOL yes I do the same thing -I actually talk to him about makeup daily! =P He sometimes asks me questions too like what this and that is for.. I think it's funny. I would LOVE a Disney Princess collection too!! From what I'm hearing, Oh So Fair has been selling out quickly (along with a long list of other products) but my store still has Oh So Fair. I'm betting they'll be gone once the weekend's over though -just call your local store/counter though before you make a trip over there. Also, from what I remember, Oh So Fair is a light soft pink -I don't have mine yet but I can tell you what it looks like (in person) when I do! Oh and Daiso.. I LOVE Daiso! It's a "dollar" store where everything ranges from around $1.00 to $5.00. They carry a bunch of cute Japanese stuff -everything from food and school supplies to makeup and piggy banks. So far, it says (online) that the only Daiso stores are in WA and CA but I'm sure they'll open up more stores around the U.S.
@ Alvira.. Oh I'm glad you like the coin purse! You've tried the gum? Isn't it good! My favorite is the melon. What types of candies do you like most? I'm a total bubblegum addict. LOL I was the same! You wouldn't believe how many times I changed the pre-sale order -I called them like 5 times changing it (they must really hate me now.) I wanted Strange Potion but wasn't sure.. but now you make me want it again!! I hope you get a Daiso soon. =) They're opening up everywhere.. hopefully they're nationwide within the next few years.